The average cost of a wedding can exceed well over $25,000. But if you’re in the market to start planning your big day, don’t let that figure frighten you. There are a number of creative wedding venue ideas that are memorable and can fulfill the most budget-conscious couples. If all else fails, you can always grab an upstart loan to give your budget a little more wiggle room. There are a number of options available when choosing a venue for your wedding. Whether you’re planning an intimate trip overseas or you want to host something in the background, you need to determine the amount of money that you would like to spend. Saturday is a common day for couples to get married. Because it’s convenient and people don’t have to get up the next day for work, it’s very popular. It can also be the most expensive time of the week to get married. 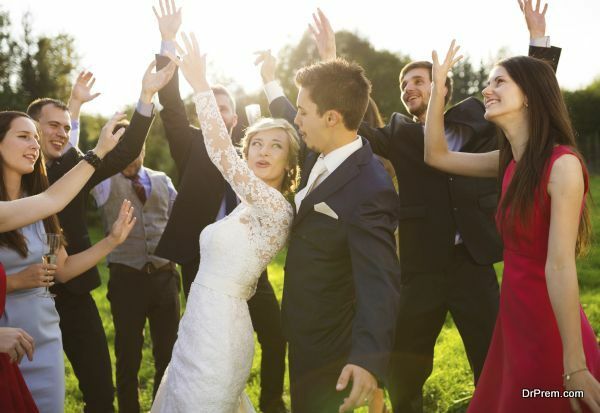 Compared to a Friday or Sunday, Saturday weddings can be 50 percent more costly. If you’re looking to keep your wedding costs down, plan on a Friday or Sunday to get married. Just because you have a tight budget doesn’t mean you can’t have the luxury wedding of your dreams. With a little preparation, you’ll be able to stretch your dollar and not have to make any sacrifices. When you blend your ideas and vision with an experienced wedding coordinator, you’ll be able to make your wedding day come to life without having to break the bank. 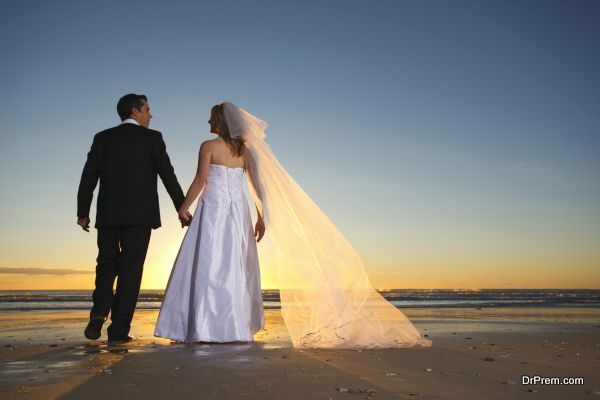 There are a host of options for couples to choose from when you’re in search of the right venue. 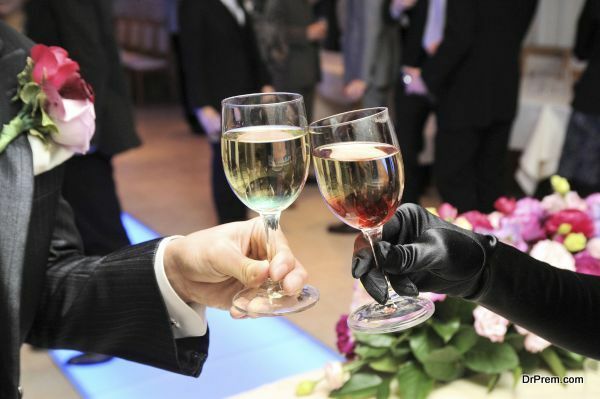 If you’re looking to keep costs to a minimum, you want to discuss your priorities for the special day. Are you looking for a fantastic view or is food a top priority? As a couple, figure out what is most important and spend the extra money on that special item. You can then adhere to your budget on the items that are of less importance. You don’t have to stick to a traditional venue for your wedding. Keep an open mind to other lower cost options such as an art gallery, public park, zoo or bed and breakfast. Places that don’t normally host weddings may not charge outrageous prices as the other well-known marital options. Big cities typically charge more money than your smaller towns. If you’re looking to get married in a particular city, look into a suburb that sits in close proximity to it. You could save a substantial amount of money in food, liquor and entertainment. When you hold your ceremony at one location and reception at another, you’re going to have to shell out money for both spots. 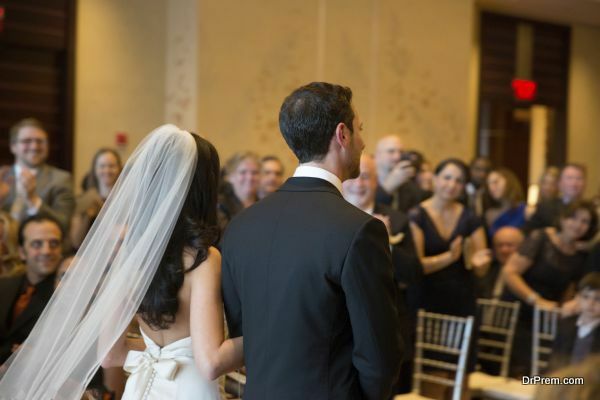 You can save money by choosing a venue that serves as both the wedding ceremony and reception. Guests also love this idea as they don’t have to drive to separate locations. Although it could be difficult for everyone to get ready early in the day, a morning wedding can be ideal for those on a budget. After your ceremony, a brunch or lunch reception can be less costly than having to serve dinner to your guests. Spring and summer weddings are most popular. They are also more costly. If you’re looking to change things up and keep your costs down, schedule your marriage during the off-season. Months such as November, January and March are ideal for couples who are looking for something different and inexpensive. You may also save additional funds when you book your honeymoon for the same time of year.